Pinangat is a filipino dish which originated in Bicol region, the land of chilies, coconut and gabi. Although more popularly for Manilenos this is called Laing. 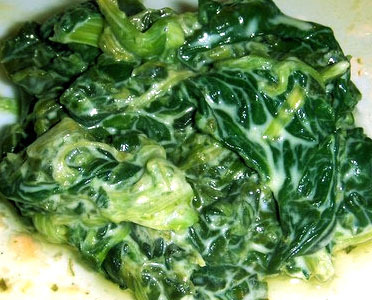 Pinangat is a nice blend of gabi leaves tied with coconut leaves and simmered in coconut cream. Try this bicol version and you will love this! In a bowl mix well your ground pork, bagoong, chopped onion, garlic, chilies and sliced gabi leaves, stalks and gabi. Pour a quarter of your coconut milk. Get one leaf and put about 2 to 3 tablespoons of your mixture in the middle of the leaf. Close the leaf outwards going inwards to be able to come up with a small package like. Tie them with coconut leaves or simply kitchen threads we use for cooking (tying chicken legs when roasting chicken, etc). Put in a deep casserole your small gabi packages. Pour your coconut milk and let it simmer slowly over medium fire. Add your coconut cream and let it continue simmering. It is done when you sauce becomes thick and coconut oil starts to come out. Hello there! I love Laing (pinangat) and surely I will try your recipe someday. I just want to ask if the taro leaves needs no other preparation like getting it sun-dried? Because I was told before that preparing Laing is quite tedious specially preparing the Taro Leaves. Please advise. i’m here in canda now. tho its hard to find the ingredients here especially the taro leaves still i was able to make it…..everybody who tasted it….says….HUMMMMMMMMMMM….isa pa nga!!! Bakit nakahalo na yung giniling na baboy dun sa leaves?hindi po ba ginigisa muna? Laing Pinangat by the ABULENCIA’S of Iriga, Albay. One of the best Laing Na Pinangat i have ever tasted. I want to go there to see how it is done. Almost like yours, but minus the stalks. When i was a kid and live in QC, we had a neighbor whose surname is ABULENCIA. Theu are from BICOL and use to sell “pinangat na laing” in the neighborhood. It was so delicious. What do you mean about GABI?? Is gabi similar with kamote leaves? ?